I'll Vote For Kooiker, But I'm Not Endorsing Him. Despite a boatload of misgivings, I'm going to go ahead and vote for Sam Kooiker for re-election to Mayor of Rapid City. As you'll see I have my reasons, and I'm most certainly not trying to sell him here. I expect my readers to be as independent as I am, so I wouldn't presume to tell any of them what I think they should do at the polls. This is all about me and my decision, not an endorsement, and I'm as ambivalent as the editors of the Rapid City Journal, whose endorsement of Kooiker this morning said the incumbent won their support by "a nose." I'm sure Sam would be the first to acknowledge that he's been scorched on this blog. Shortly after that post, the eruption on this site ensued. Kooiker's reaction last Summer to my stops-out critique of the way he handled an appointment to police chief was unseemly and gratuitous, criticizing sitting council members for their "well known biases" (Charity Doyle and Bill Clayton) and calling out my good friend Bonny Petersen for her apt description of his confrontational style. Petersen and Doyle pushed back, causing a public display of hard feelings that got the attention of the Rapid City Journal (you'll have to look it up, I've run out of my monthly freebies so I can't provide a link) and left a bad taste in a lot of people's mouths. Meantime I was extremely put off by the last round of elections when Kooiker started robo-calling in favor of partisan candidates for county offices. I detailed it here, calling it an obvious effort to build some sort of political power base connecting Pennington County to Rapid City, and was happy to note that the voters saw through it, trouncing the two candidates in favor of the vastly more experienced and qualified incumbents. All that incident did for me was to develop a state of suspicion about Kooiker's motives and a sense that he's more into consolidating power and the cronyism that goes with it than delivering the best government he can. I don't like it, and if he wins I'll stay all over him on it. At the time all this was going on I was so disgusted with the mayor that I told myself I'd vote for any reasonably competent candidate that would run against Kooiker this year. At first I thought Steve Allender would fit that bill, as "competence" is perhaps his most identifying character trait. Certainly his management record as Rapid City Police Chief has been a strong endorsement of his abilities. But as time wore on and the need for some specifics about how he'd deal with the challenges of the mayor's office emerged, Allender came up short. It's one thing for a challenger to criticize the status quo and call for a change--it's altogether another to lay out some specifics about what the challenger sees in need of repair and his plans to address those needs. Allender simply has not given me a blueprint that would give me a sense of how his administration would be constructed. His critique of the condition of the Rapid City economy (and my counter-critique of his assessment) is well-documented in this blog, but for the purposes of the point I'm making, let's assume that his view of the wretched state of Rapid City's economy is a valid one. Allender correctly says manufacturing has fallen off considerably since the recession, before Kooiker was elected in 2011. He faults Kooiker for having achieved meager if any results in bringing manufacturing back up to pre-recession levels. Yet Allender has proposed no specific measures that he would bring to bear on manufacturers with the intent of getting them to expand or locate here in Rapid City. In his ChiefsView blog of a couple of weeks ago, Allender just says, "I intend to be involved in finding the areas where improvement is needed and to work with others to make that improvement." This comes across as world-class dodge-ball to me because Allender is effectively saying he doesn't have a clue but intends to figure it out after being elected by getting together with people that, unlike him, know something about the subject. Same goes for his critique of the City's permitting process, much discussed here, but with no clear identification of its problems or its fixes, just a frequent comment to the effect that we first have to admit there's a problem and that he'd unclog city hall and "evaluate existing processes" in the hope of giving Rapid Citians more value for their dollar." As with his hectoring of Kooiker's handling of manufacturing growth, Allender gives us vagueness and no indication that he understands the problem he claims to exist. More dodge-ball. I need better than that to consider him for mayor. So now I, like probably a lot of people in this town, am tasked with making a tough choice for mayor this week. My decision to vote for Kooiker the incumbent has two dimensions. First, I know him and his style and am willing to give him the edge for experience. Second, I believe that he's learned the hard way that confrontational politics are a lousy way to run this city. Having robust disagreements is one thing, antagonizing his opponents by calling them names and taking his disagreements with them public is no way to get business done, and I expect Kooiker to have reached that state of enlightenment by now. As to Steve Allender, he's young enough to have a brilliant future in local government, win or lose, and I expect to hear from him frequently and decisively as big civic decisions get made. I'll Be Live On Rapid Fire Radio Tonight At 8 MDT. happening," per the station manager's invitation. Hoping to compare/contrast Kooiker and Allender and talk up my support for the school district opt-out. My challenge will be to make the talk as cool as the station's music. job of putting it together. I made the point last night that Dems in South Dakota would do well to identify strongly with these referenda and can expect to get some political leverage out of them if they gather up the signatures needed to bring those obnoxious Senate Bills to a vote in November, 2016. Anyway, I hope you'll check out the Rapid Fire Radio site tonight. I have no doubt that you'll find the conversation of some interest and relevance. Allender Will Apologize To Kooiker. From my facebook page: Steve Allender "The spelling of the name was a typo. I proofed the ad and didn't catch it. Nothing was meant by it and I will apologize to the Mayor." From my comments section in the prior post: "John, and others: It is a typo. I proofed the ad on my mobile device and didn't catch it. There was nothing meant by it and I will apologize to the Mayor." I'll accept Allender's explanation at face value, though I'll understand why skeptics might be dubious. Way To Stay Classy, Allender. today's Rapid City Journal, paid for by the Allender4Mayor campaign, references his opponent, incumbent Mayor Sam Kooiker, as "Kookier." Yes, "Kookier." A printer's mistake? I doubt it because Kooiker's name is correctly spelled 4 times in the body of the ad. The stakes are too high to call this a typo. I think it rates a major OMG. Unreal is another way to put it because Allender's "Real Leadership, Real Integrity" theme just got self-contradicted, big time. Mockery like this is utterly inconsistent with the aims of "real leadership" because "real leadership" starts out from a position of respect, not openly expressed contempt in the form of mangling an opponent's name for the purpose of putting him down. If a Mayor Allender materializes, is he likely to use this kind of immature ridicule as a political weapon against the inevitable roster of enemies and opponents that will build up during his tenure? Given his past history of making racist and ethnic jokes, I'd say you have to wonder. According to Allender, he's outgrown his propensity for finding humor in other people's backgrounds, but apparently he hasn't expunged his urge to mock others publicly when it comes to mutating their given names into derogatory variants. Mayor Kooiker out. I thought Allender had the makings, but at this point I'm having my doubts. He's been snippy with me here (note the conclusion of his reply to the post) and I note that Journal reporter Seth Tupper writes in today's RCJ that during an interview in Allender's home, when Mr. Allender does a mocking interpretation of Kooiker's "I love serving people" mantra, his wife Shirley "hears him launch the attack and calls out a sharp, 'Steve!' in admonishment," By itself the vignette says much about Allender--but considering that the candidate exposes himself to the mainstream media via a major interview the incident calls Allender's judgement into question. The coarse put-down of Sam Kooiker with that name-mutating headline in today's campaign ad probably answers that question. Allender's judgement is not the best, nor is it becoming of a mayoral hopeful. There's an emerging pattern of Allender's insensitivity and lack of awareness that voters need to consider when they go to the polls on June 2. I invite Mr. Allender to comment on this. I Don't Get Why Rapid City Conservatives Are Fighting The Opt-Out. Passage Of It Could Be The Chance They've Been Waiting For. Seems like the noblest conservative ideal is local control of as many aspects of our public lives as possible, a notion that has held America's conservative community together since the inception of the country. The conviction that centralized authority is the way to run our lives has long been held as one of the ideological bastions of Bolshevism among our freedom-loving patriots on the right for as long as I can remember. That's particularly true when it comes to education. These days they rail against Common Core, PC elements in school curricula . . . even the school lunches that our kids have to eat. I get their drift and even go along with some elements of it. And that's why I wonder why they're beefing so loudly about the Rapid City school district's proposed opt-out that comes to a vote on June 2. What the schools are trying to do is rid themselves of the property tax limit that forces them to rely on state funds that just don't support the system they way they have in years past. "Opting out" of the tax limitation will let the district raise more money from local property taxes, in this case about $72 per $100,000 of valuation. That will raise the $6 million a year that Rapid City schools say they need to maintain their services to our kids at something close to present levels. during Rapid City's municipal election on June 2. The group believes that Rapid City's schools have a problem with mismanagement, not funding, but don't offer much in the way of specifics as to what aspects of the school district's budgets can be pared in order to offer a decent quality of public education. Generalizations on these matters come easily, but I have yet to see a line-item breakdown provided as a back-up by those who claim mismanagement. As those "solutions" haven't been forthcoming up to now, a successful "yes" vote might just be the catalyst needed for them to materialize down the road. Actually, now that I think about it, I look forward to some intense budgetary analysis by the Citizens For Liberty in coming months, opt-out or no opt-out. Another Builder Speaks Out About The Permitting Situation In Rapid City. I'm Honoring The Author's Request For Anonymity. Says my correspondent: "I have received over 75 building permits in Rapid City, been a part of 7 rezoning or replatting requests, and was the general contractor or project manager for large projects in Deadwood, Sioux Falls, and Des Moines, Iowa in the last 10 years. First of all I would like to state that Brad, Curt, Chuck and their support staff at the Building Permit and Inspection Dept. and Assistant Fire Chief Tim Behlings and his staff at the RCFD Prevention and Code Enforcement Division are very professional and efficient when I apply for a building permit, call for inspections, and ultimately receive a Certificate of Occupancy for all of these projects that I have built in Rapid City. They are all very knowledgeable with the ever changing building and fire codes and they understand that there is often more than one way to meet the intent of the codes." "The Planning and Zoning side of the Community Planning Department also does a great job, although I believe they are needlessly hampered by a multitude of ambiguous and unnecessary codes and regulations. Whenever a lot is developed in Rapid City or even within the 3 mile platting boundary, the code requires the developer to provide a paved road of various widths, curb, gutter, and sidewalks on both sides of the road, and water, sewer, and street light conduits. Often there is no curb, gutter or sidewalks in the area and constructing the curbs can be a safety hazard. While the developer can apply to the Planning Commission and the City Council for a waiver to some of these requirements, the process is long and costly. A better method would be for the Planning Department to have the power to grant these waivers at their digression if the developers are willing to sign a “Waiver of Right to Protest”, which in a nutshell means that if in the future the surrounding area infrastructure is developed to City standards the developers or the current property owners will pay for their portion of the improvements. The Planning Dept. and the Planning Commission do not currently consider any private covenants that are in place when they consider a rezoning or a Conditional Use Permit application. This often pits one neighbor against another, with the only recourse they may have is to initiate legal action to enforce the covenants. I believe that the biggest detriment to affordable development in Rapid City is the Public Works Department. Any conscientious and reputable builder wants his project to last for a reasonable time, but the myriad of specifications and testing requirements add 1000’s of dollars to even the simplest projects. Often they specify a particular brand of pipe or valve that is a costly, special order item instead of one that is usually stocked by the local suppliers." "The process to substitute materials from their approved list can be a long and costly process, so most of the time the contractors just use the more expensive materials and pass on the extra costs. 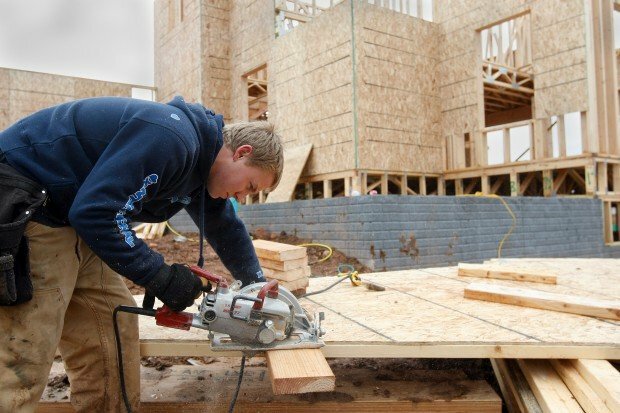 If a homeowner or contractor wants to make minor changes to a building project they are allowed to do so without redrawing the plans or re-submitting for a new permit, but if a developer wants to make even minor grading changes to a project the Public Works Dept. requires plans to be drawn up, submitted to them for review and approval, and usually another pre-construction meeting. Most of the large grading, utilities, paving and asphalt companies that I have worked with have told me that the Public Works supervisors and inspectors enforce the rules much stricter for a privately owned project than they do for a City or State funded project. This leads to confusion among the workers and resentment from the developers whom are paying the bills. The current Mayor has stated that one of his major accomplishments is the number of committees and review boards that he has eliminated in the last 4 years. He got rid of the Electric Board, the Plumbing Board, the Development Appeals and Review Board, and the Variance Board. The downside of eliminating these Boards that were comprised of long time professionals in their fields is that now the appeals are decided by the Planning Commission members whom often lack the technical expertise to make an informed decision." Good Grief, Do We Need This? Wild, which should be redubbed "Fur-Ever-Confined" for the sake of truth in advertising) and her company that raises wolves wants to bring a bunch of their puppies to Deadwood, stick them in a cage--right on the main drag south of town yet!--and charge people money to pet them. What an "attraction" like that has to do with Deadwood's image as a beautifully-preserved artifact from the old west is beyond me--and I predict that the business itself, if allowed to open, will be an epic floppola. I don't think the lady, whose dream it is to create this affront to mother nature, did much in the way of due diligence. If she had, she would know that Deadwood's market consists of grown-ups who basically have one thing in mind--gambling in a town with a unique historic character. Much as Deadwood would probably love to have a family-friendly persona that's central to its civic identity, the fact is that you don't see many children romping around the city's commercial venues. And every petting zoo I've ever seen has children in mind as the core of its business. The idea needs a serious rethink purely on marketing grounds. In terms of its addition to Deadwood's overall marketing schemata, this idea also stinks at that level. Can you imagine the public reaction if the company's Deadwood facility looks anything like the animal confinement camp the company maintains in Minnesota, pictured below? Good grief, Deadwood, get a grip. Widely disseminated pictures like this you don't need. I've got interests in the tourism business, out by the Badlands, and I'll be the first to acknowledge (and thank) Deadwood for the nice boost they give to all of western South Dakota's tourism venues. People may be destined for Deadwood, but they make plenty of stops along the way, a fact that gives all of us a stake in the fortunes of that amalgam of fun and history in "the gulch." A confinement full of creatures taken out of their natural elements and presented to folks as cute little pettable things doesn't have much marketing appeal in this day and age, when even stalwart attractions like Sea World have to deal with widespread criticism of its confining practices. That the venerable Bear Country U.S.A. attraction in the Black Hills has managed to escape this kind of attention probably says a lot for the maintenance of a decent habitat with plenty of space for the attraction's denizens. 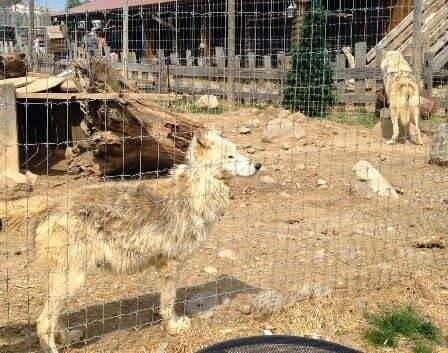 But just 17 acres allotted for the captive wolves these people want to bring to Deadwood? Depending on breed, a wolf pack's territory can range anywhere from 38 to 1,000 square miles. and her supporters, if she has any, can justifiably point to other for-profit petting zoos in the region and could well have a case for installing theirs on that basis. But there's more to it than that on the public-relations front. 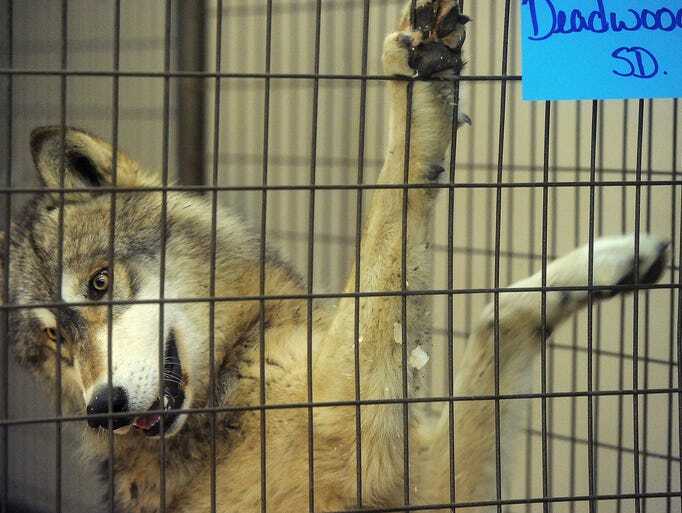 What becomes of the wolves after their tenure as petting objects is the source of much controversy, which is well-detailed by Cory Heidelberger in his Dakota Free Press blog as well as the Rapid City Journal article linked at the beginning of this post. If these animals are killed and skinned after their useful lives in a petting zoo are over, as critics contend, then the whole project is utterly abominable. Owner Terri Petter calls these allegations "lies" and told the RCJ that "the accusations are ridiculous." I think Heidelberger makes a pretty good case that they are neither "lies" nor "ridiculous," and I look forward to seeing a point-by-point refutation by Petter when public hearings about this are held in Pierre tomorrow by the South Dakota Animal Industry Board. Whether or not the "front for a fur farm" label is justified, Deadwood officials and business types should give the prospect of this facility a hard look. For a city that depends on image as the core of its marketing program, an attention-getting, controversy-creating blot like this can only be a harm. And if it harms Deadwood, it harms the whole tourism industry out here. Legal grounds for the petting zoo may well exist, but the sideshow that comes with it will be unpleasant, distracting, and likely to tarnish the area's reputation. Just look at what's happened to Sea World and its investors since the controversy over its captive whales has erupted. The company lost $25 million during the fourth quarter of 2014 and its stock is down by a third during the past 12 months. My abhorrence of this as an animal lover notwithstanding, my instincts and experience as an entrepeneur sense trouble ahead for business. Based on what's happening at Sea World, I'd say it has all the makings of a potential public-relations catastrophe. Addendum: added 5/20 @1810 hrs: South Dakota regulators (the Animal Industry Board) today gave Petter a permit to set up her confinement but denied her application to make it a petting zoo on advice from a state veterinarian who cautioned against human contact with these animals. Petter calls this "great news" and claims "we can still educate," which is "what we wanted to do all along." The AIB refused to listen to any testimony about how Petter's organization maintains its facility in Minnesota. Here are some recent TripAdvisor reviews about the Minnesota facility. Here's the AP story on today's hearing. I’ve developed two downtown properties here in Rapid City, deploying about 2 million in capital. My experience is primarily in the downtown and has always been focused on rehabilitating and re-purposing older structures. This is quite a bit different than commercial and residential development and new construction. The issues I find are not so much with the permitting “process” but rather what happens when you pull the permit and what the average, local investor (not an “insider” club member) goes through trying to meet code requirements. Example 1: Pulling permits to expand Barefoot Dance and Fit out the long vacant Mill Tower for Revival at Aby’s Mill triggered a parking requirement calling for an absurd amount of spaces, severely limited the “uses” and consequently who I could rent to and capping potential rental revenues, severely limiting the economic viability of investing in the aging structure. At this point, due to this requirement a full 60% of the 22,000 square feet under roof is limited to a “cold storage” use which is basically a storage unit, market price 2.50 per foot modified gross. As written that requirement, driven by the boundaries of the CBD (central business district) is one of those “all or nothing” absurdities that seem so common in bureaucracies. The parking requirement—again, one size fits all is ok for a Mall or office building complete but not a repurposed downtown property. The code along with the antiquated boundaries of the CBT coupled with local disease I call “parking hysteria” pretty much kills all development of properties East of 5th street or limits it to stupid people, people with nothing else to do with their money but build empty parking lots or people who like getting negative returns on capital. Because it was Aby’s and because most of the people on the boards realize this is a major problem we were able to carve out exceptions to the parking requirements (at considerable cost) but still had to comply with a number of requirements that only add cost and provide no benefit such as detailed planting requirements which have a point system for different plants even though all the parking is in an interior courtyard completely out of site. Getting the exceptions required going through an expensive and somewhat tedious approval for a Planned Community Development (PCD) at the end of which, every department in the city gets a chance to pile on with their own particular requirements while time drags and costs go up. The design submittal process for the PCD and the design cost for the parking lot generated close to 30,000 in professional fees just to get approval to pull the permits and triggered a fire code requirement (since mitigated and delayed but still in place) for nearly 150,000 in fire alarms and sprinklers. This on a building that has stood vacant for 20 years and is listed as “in peril” by the Histos. To put it in perspective the building next door (Freed’s furniture) inside the CBD has a requirement of ZERO parking spaces. You’re either in the business district—no parking requirement, or out of it—go broke providing parking. There are numerous properties on the edges of the current CBD that will remain under used because of this problem. Had I known what I know now Aby’s would not be developed, at least not by me and I won’t make that mistake again. Example 2: Pulling permits on 727 Main Street sometime in 2010 triggered a sprinkler system and alarm system requirement for about half the building which I managed to get a two year moratorium on doing. If I had not gotten the moratorium that development would have stopped dead in its tracks because the sprinklers and alarms were more than the renovations by a factor of two. When the moratorium was up and we simultaneously pulled permits to build out Pita Pit the requirement kicked back in and then went way, way up. We had to install fire sprinkler systems and a station to station alarm system in every square foot of the building including 6 individual apartments, both retail spaces and both basements at a total cost of nearly 50,000 dollars, more than 10% of the cost of the building. Doing this kind of work in old buildings is not the norm. Generally rehabilitation codes allow for enhanced alarm systems and other fire detection methods, all very effective. Additionally, without a lot of engineering to adapt existing water supply and cooperation from the fire marshal we would have had to spend an additional 15-20K 15,000 to open the street to bring in larger service just to supply the sprinklers. The building already adequate water service, hard wired smoke and CO detectors in all the common areas, upgraded individual electric service and gas meters to each apartment, and Fire suppression under the hood systems in the restaurant along with new electric service and HVAC and alarms in both retail spaces. Most downtown building owners I know would rather patch things up and limp along, anything to avoid pulling a building permit and dealing with the tsunami that follows. 1. Expand the central business district now. Why does anyone have to think about this. This is a no brainer. If you have to think about this for more a few minutes then the word “think” shouldn’t be used in the same breath as “you”. Parking requirements, driven by the all or nothing zoning and code requirements are the primary factor holding back further development downtown. Timing is everything, this opportunity won’t last forever. Do it NOW. Don’t take my word, take a ride down and have a look at Dakota Banks empty parking lot and go in and ask Bank President Rick Rylance what he really thinks. Bring a lunch. 2. Create a sensible, graduated building code that understands “repair and replace” “renovate” and “rehab” to help develop old and difficult to re-purpose properties. 3. Reform the fire code for rehab and renovate and replace and repair applications. 5. Allow owners to act as their own General Contractors. This, again is a fundamental right of owners of property in my opinion. Where this new rule came from is beyond me but it has to go. I'll be one-third of a rather unique political combo, consisting of Howie (think Tea Party), me (think anything you want, hopefully printable), and Kurtz (think hard-core and committed Dem). We have our differences, some of them profound, but we share a common contempt for two of the worst pieces of legislation ever, Senate Bill 69, which (among other elements that make the nominating process tougher by favoring incumbents) denies members of a political party the right to sign nominating petitions for independent candidates, and SB 177, which by legislative fiat went against the will of South Dakota voters. It altered the law they passed last year raising the minimum wage for all workers by reducing that minimum for workers under the age of 18. These just-passed politically-driven travesties masquerading as sensible and representative legislation need to be referred to the voters. They will be if the petitions circulating around the state get enough signatures by June 29 to put them on the November 2016 ballot--which also means the July 1, 2015, date for implementation will be put off until that election next year. I've written about these Bills in the Rapid City Journal and covered them in more detail here. Both eat away at the rights and power of the people, SB 69 by restricting support for independent candidates and SB 177 by the legislative and executive branches asserting peremptory authority and arbitrarily changing the terms of a minimum wage law that was passed by the voters last year. You don't have to be party-oriented or -driven to reject these laws that effectively diminish the power of citizens. You do have to be affronted by the government's cavalier disregard for easy ballot access and the voters' will when it comes to electing officials and respecting the results of an election. South Dakota was among the first states in the Union to establish procedures for referendums and initiatives, way back in the 1890s. I hope you'll attend this meeting to get the viewpoints of a diverse political lot who consider SB 69 and SB 177 a rejection of the great progressive ideals that got this state off to its start. Information about where to locate petitions to sign and/or circulate can be obtained by e-mailing at the address above. obvious to me that the economic state of my community's well-being was reflected in my city's retail sales? Or was it that 12 or so years I spent making markets on the trading floor of the Chicago Board Options Exchange, where every monthly report recapping consumer spending--which is about 70% of our country's economy--was met with joy or dismay, depending on which direction the numbers went. Maybe it's that monthly recap of sales tax receipts that's sent out by the South Dakota Retailers Association to my business with a generally understood sense that the numbers are a reliable gauge of how economic activity is progressing in South Dakota. Maybe it's just me, but it is hard to single out the source of my infatuation with sales tax revenues and their indication of how things are going in the economy. I'm smitten, I guess. And that's why I took it rather hard when Rapid City mayoral candidate Steve Allender blithely dismissed sales tax receipts (along with the torrid pace of building permits, by the way) as a picture of how things are going in Rapid City's economy, which he's been dissing and using as an example of incumbent Mayor Sam Kooiker's poor handling of his job since 2011. Allender's negative view of the economy surfaced during his televised debate with Sam Kooiker on May 3, to which I responded the following day with data from the South Dakota Department of Revenue indicating that sales tax revenues have steadily increased, outpacing inflation (and population growth) by a healthy measure, namely 6.8% a year, on average, from 2011 through 2014. Inflation during that period averaged 1.7%. I concluded that contrary to Allender's view, the Rapid City economy is healthy, vibrant and growing. At the Rotary Club debate the following Friday Allender responded by saying that sales taxes and building permits are not enough of an indicator to conclude that the Rapid City economy has been good. I challenged him there to make his case, which he did here the following day. I invite readers to review Allender's post and its supporting data, including graphic information from either the "Black Hills Region" or "metropolitan Rapid City," neither of which is actually Rapid City-specific, but of some interest nonetheless. You can draw your own conclusions. I've drawn mine. me that good sales tax growth is a sign of a good economy, but that could well be my own subjective, solipsistic view of the world. So I went to other sources for confirmation or contradiction and actually got the former--from about as solid a resource for economic data analysis as you can find: The University of Wisconsin Extension's Center For Community And Economic Development and its Wisconsin Main Street Project, focused on communities of 100,000 people or less. If you think this is all about Wisconsin, think again. The UWEX project is part of a consortium that includes similar centers at the University of Minnesota and Ohio State. So what do some of the country's leading researchers conclude about sales taxes as an economic indicator? Just this: "Higher levels of sales tax revenue indicate higher levels of consumption--a result of a strong economy and consumer base." It also notes that: "Retail sales are a strong force within today's economy. A local economy with strong retail sales reflects a strong consumer base with a willingness to spend." I would think this is especially true in an economy like Rapid City's. In our town, retail trade looks to be about the size of all other economic sectors combined. Growth in retail sales is the big gorilla of our city's economy, whether we like it or not, so serious, real growth in that sector has to be pleasant news for anybody following economic affairs in this town. The challenge to whomever gets elected mayor next month isn't to right an already upright economy. It's to find ways to spread its benefits and opportunities out to the population and into sectors beyond retail. That's what Allender and Kooiker should be tussling about. This city's economy is just fine. Where we take it, not where it's been, is the critical issue. Still Waaaaiiiitttiiingg . . . Who Are These Mystery Developers Having Trouble With Red Tape At City Hall? I was at the Rapid City candidates forum at the School of Mines last night. First off, congrats and thanks to the Chamber of Commerce and the Homebuilders Association. Great job, ran smoothly, most appreciated. I came away with a fairly good sense of the candidates--their personas, their priorities and their perceptions. Of course I was mainly focused on the mayoral candidates, incumbent Sam Kooiker and challenger Steve Allender. They mainly sparred over processes at City Hall, specifically focused on the amount of red tape that developers have to cut through in order to get their business done. Kooiker claimed that he's been streamlining the process, to which Allender counter-claimed that it's still too slow and cumbersome. Both claimed, tacitly by Kooiker who says more needs to be done, and overtly by Allender who calls for what sounds like a complete overhaul of the process, that a problem exists. But neither candidate came up with specifics necessary to document that there is indeed a problem with "red tape." This is actually getting kind of frustrating, if not altogether monotonous, mainly because the age-old complaint about too much red tape at city hall has been an ongoing issue in every mayoral election I remember here, going back to the 1980s, and everyplace else I've ever lived, including L.A. and Chicago. For one thing, I believe "red tape" is endemic to the process of getting things developed and built in any city. Do developers think they exist in a vacuum and should be able to move forward with projects that directly affect hundreds, maybe thousands, of taxpayers without going through an exhaustive permitting process? Of course there has to be some significant amount of time spent clearing numerous hurdles in the approval process. For another, I doubt that they can find friendlier permitting confines elsewhere. Allender keeps telling us that his first priority is to identify the problems, which is fine and dandy, but I think it's his job as a challenger to have already identified those problems and explain just exactly what he intends to do about them. He's the one attacking the status quo and he should be ready to present us with some specifics. I'm leery about voting for someone who tells me there's a problem but he won't identify it until after he's elected. more needs to be done isn't good enough for those who need to know what he has in mind when he uses that word "more." Allender thinks we should identify cities that have a streamlined permitting process and copy them. Okay, but all due respect Mr. Allender, why haven't you identified those cities already? Seems like if you're so sure they exist that you'd name them and explain exactly how their systems can be copied here in Rapid City. Kooiker meanwhile claims to have identified the "thorns" in the streamlining process, but I have yet to see a listing of those "thorns" and just exactly what his plans to do away with them are. Most frustrating of all is that nobody seems to have identified the mystery developers who they claim are having trouble with all the red tape at city hall. If somebody could name some names for us and explain what the specific problems are this whole dialogue would have a lot more credibility. I've invited comment from those affected by permitting delays in doing business with the City of Rapid City, an invitation that remains open-ended, not stopping with the election. So far there haven't been any takers. Maybe the candidates could be more forthcoming? Allender, Kooiker . . . you guys need to understand that you can't go around making political claims and charges without backing them up with facts and specifics. So let's hear it. Who's having trouble with red tape at city hall? focused on Rapid City's permitting processes. Allender claims that they're cumbersome and difficult to the point where the city is perceived as "anti-growth and anti-business." For his part, Mayor Kooiker has claimed that during his tenure, Rapid City has been "streamlining processes to continue improving customer service and facilitating a positive environment for business growth." Never having done any permitting business with the City of Rapid City, I'm at the mercy of the experts when it comes to deciding whose view should prevail on this rather touchy subject. I call it "touchy" because the people most affected in their dealings with city hall will soon have to deal with one or the other of these guys. Coming out with public statements about their opinions on the process is a mite dicey, as an endorsement of the status quo could create some hard feelings if Allender wins, while an affirmation of Allender's complaints would do the same if Kooiker is re-elected. Not accusing either candidate of harboring ill-feelings that would extend to their treatments of permit "applicees" who sounded off against them during this campaign, but acknowledging the realities of sensitivities of private sector types who depend on co-operation with public officials in their lines of business. Is City Hall A Help Or Hindrance In Our Quest? personal experience. Much as I'd love to have names attached to those who either praise or condemn, I appreciate the need for anonymity that some will require. That, of course, is no problem here. If you can navigate your way into my comments section, there's a provision for posting anonymously, so much so that I, as moderator, won't even know who you are. If you can't work your way on to my blog, you can e-mail me at the address at the end of my bio on the right and comment without identifying yourself. I'll cut and paste it to the comments section of this blog, as is, with no commentary about it from me. Should I know who you are, I'll keep your identity to myself, meaning, of course, you'll just have to trust me on that one. As this matter comes up time and again during the campaign, it's importance can't be overstated. Some light on the subject generated by those who know what dealing with City of Rapid City is like could be the most illuminating information advanced thus far in the race. About the economy: First, we have to admit we have a problem with the economy before we can address it. The 2014 data is in, and again Rapid City’s manufacturing sales are down another $9 million from 2013. The manufacturing sector has been flat, hovering at the $300 million mark for six straight years even with the additions of HF Webster, WL Plastics, and Adams ISC. Why is it so hard for the Mayor to acknowledge this? Saying the economy is good, won’t make it good. The numbers don’t lie. Most major sectors report growth with the exception of wholesale trade, which took a $24 .3 million nosedive, more than double the decline of $11.4 million the year prior. The solution seems clear: Unclog City Hall. The permitting process is the most convoluted it has been, perhaps in the history of Rapid City and is gaining a statewide reputation for being so. You don’t have to take my word for it though – talk to someone who gets permits – the developers and contractors. They will tell you in no uncertain terms: Rapid City is anti-growth and anti-business. It’s ironic that the Mayor is touting “streamlining” and the “easy permitting process.” It’s clear that he is out of touch with the City’s customers and it’s costing us millions. Once the process is corrected, the City must work with Rapid City Economic Development, the Business Development Center and the Chamber of Commerce to develop an outreach plan to attract prospective businesses, both new and existing. 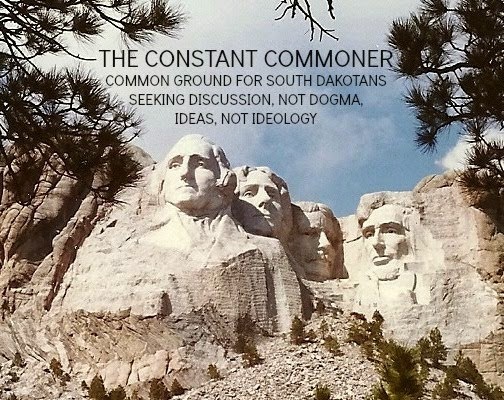 Rapid City needs higher paying jobs and we are not going to find them with our heads buried in the sand. 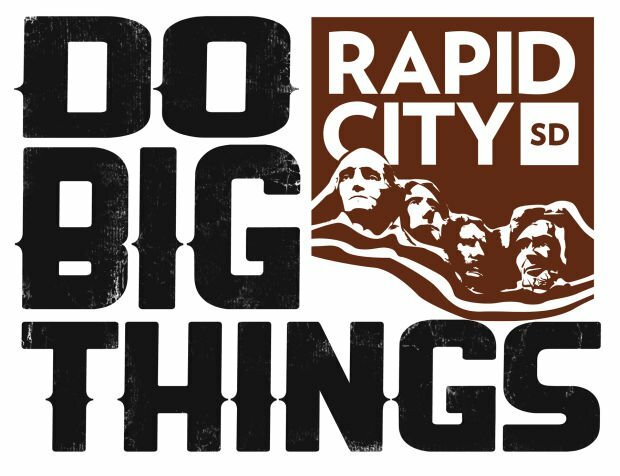 Rapid City’s future is too important to accept economic mediocrity. We should be leading the State, not following. Incumbent Mayor Sam Kooiker Makes A Positive Case For The Rapid City Economy's Performance During His Watch. include my overall vision since you had earlier invited each of us to submit a piece for the Constant Commoner. First of all, it’s important to know that no mayor or city council can take full credit for the City’s economy, nor full blame. Yes, we do have a role. City government can either stifle growth or facilitate it. However, it is up to the business community to create it. Using a history that starts in 2006, before I became Mayor and before the great recession, my opponent wrongly asserts that Rapid City's economy is stagnant. His criticisms, accompanied by his lack of solutions underscore a lack of understanding of how the private sector works. If you look at the data from 2010 – 2015 there is every reason to be positive – and the data includes a number of industrial permits as well. March 2015 was the 3rd highest month for building permits since 2000. And we know there are additional large permits coming this year. In addition, the numbers for the last few years include a minimal number of government building permits (23.2m in 2011 vs 1.3m in 2014). The numbers for 1st quarter of this year aren’t as great as 1st quarter of last year, but that’s because of the drop in permits relating to storm damage. Below are linked all of the quarterly progress reports for the last four years, and on the back of each one are the building permit numbers and infrastructure spending numbers. 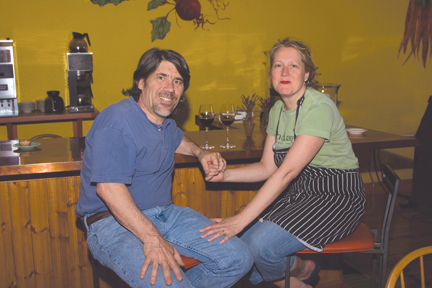 And the truest test of a growing economy is more than the indicators of building permits and sales tax – the truest test of a community’s vitality is if local businesses are expanding. And they are! I do agree underemployment is an issue in the Black Hills, and I point to the positive indicators of industrial and commercial activity that show this is changing. HF Webster, WL Plastics, Adams ISC and expansions in existing businesses in all sectors show our economy has not stagnated. Black Hills Corp has announced a major building project here (yes, it is a consolidation of existing office space, and it is an expansion). Among the many factors cited for locating the facility here is the easier permitting process here. 1. Continuing to address our aging streets and utilities. 2. Addressing the Civic Center in a manner consistent with voters’ wishes. 3. Streamlining processes to continue improving customer service and facilitating a positive environment for business growth. 4. Continuing to build a solid foundation for race relations. I am also the candidate with private sector business and management experience, who understands the pressures of private business, balancing budgets and meeting expectations. Here are a few of the initiatives we have achieved over the last 4 years relating to our business community, all achieved with the enthusiastic support of the City Council.  Streamlined the bill paying process – it used to take up to 70 days to pay a bill, and now it’s less than half that in most cases. This is a big deal for the city’s vendors, many of whom are local businesses. o Bills are now paid by Finance office as soon as the Bill List is approved by the Council signed by the Mayor. It used to be that all bills more than $500 had to be approved by the Mayor. o Airport, Civic Center and Library bills are now paid as soon as approved by the respective board, and don’t come to Mayor/Council anymore.  We no longer require certified mailings for developments anymore – it’s all been switched to 1st class, which saves a tremendous amount of time for the business community, citizens and city staff.  2nd floor is open until 5 PM rather than 4 PM.  Final plats are now administratively approved.  We’ve reduced the number of code appeals boards from 8 to 1, and have reduced the number of Planning Boards (we used to have Zoning Board, Sign Code Board and Planning) to 1.
o Overall we have reduced our committee count from about 86 committees to approx 42.  Streamlining the application process by allowing for electronic plan submittals. Paper plans are very expensive for developers and expensive for staff to review, process and store. John, thanks again for the invitation to respond. Your readers can learn more about my vision at www.standwithsam.com and can contact me through my website with additional questions. Note to readers: As Mayor Kooiker has touched on specific proposals and objectives (which is fine by me) beyond his analysis of Rapid City's economy, I invite challenger Allender to offer specifics on what his administration would do to enable the stronger economic growth he believes is needed in Rapid city.